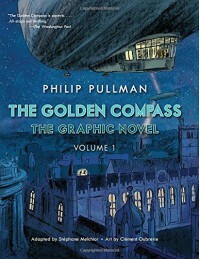 I read this because The Golden Compass is one of my favorite books. So, despite knowing the story and what happens already, I figured this would be a nice way to revisit one of my all-time favorite books. It definitely reminded me why I love the book so much - the story is wonderful and interesting. And Lyra is such a great character. Sure, she is a bit odd, but I love that about her. She's different, she's herself and not afraid to be herself. The story is definitely five stars, but the artwork. . . . I personally did not find it very appealing. But, besides the artwork, fans of the original book will love this.